Having learnt to row at school, Matthew’s first impact on the sporting conscious was with Oxford University where he won the prestigious University Boat Race twice, and was President of the Oxford University Boat Club. In 1992 Matthew had his first taste of Olympic success, when in a Coxless Pair with Sir Steve Redgrave, he won Gold at the Barcelona Olympics. At just 21 years old, it was already clear that Matthew was developing into one of the world's greatest oarsmen. At the Atlanta Olympics in 1996 the Pinsent/Redgrave duo won another Gold medal and throughout the nineties their outstanding combination also brought them seven World Championship Golds. Their unbroken run of successes continued through to the Millennium Olympic Games in Sydney when Pinsent, now in a Coxless Four, again triumphed, earning his third Olympic Gold Medal. “The Race” in which he did it was voted ‘Britain’s Greatest Sporting Moment’ and the crew secured themselves a very special place in the heart of the nation. On Saturday 21st August 2004 at the Athens Olympic Games, Matthew Pinsent CBE entered Olympic history by becoming one of only 5 athletes to win 4 consecutive Gold medals. In one of the classic sporting moments of all time, he led the Great Britain coxless four to victory over the Canadian World Champions. On 30th November 2004 Matthew announced his retirement from international rowing, having sealed his name amongst the greatest Olympians of all time by winning again in Athens. His autobiography, “A lifetime in a race”, which he wrote himself, was published on 2nd September 2004. Matthew was awarded the MBE in 1993, the CBE in 2001 and in the 2005 New Year’s Honours list he was awarded a knighthood. Matthew now shares his incredible journey with the public as an outstanding motivational speaker; regularly presenting at events, leading conferences and delivering key-note speeches. 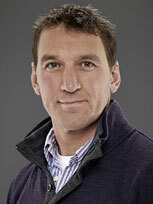 Matthew also currently writes for The Times and has become an integral figure in the BBC’s broadcasting roster. Matthew has been a key live reporter and commentator for the BBC during its coverage of two Olympic and Paralympic Games (in Beijing and London), three Winter Olympics (in Turin, Vancouver and Sochi), and two Commonwealth Games (in Delhi and Glasgow). 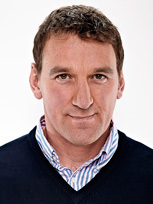 In addition, he travels the world reporting regularly for the BBC from international sporting competitions, such as the Rowing and Canoeing World Championships, and iconic British sporting events such as The Boat Race and The Invictus Games. He is also now an Umpire for the Boat Race. In 2011 and 2012, Matthew fronted the critically-acclaimed BBC “World Olympic Dreams” series, which followed 25 athletes from around the world, including Jamaica’s Usain Bolt, on their pursuit of glory at London 2012. BBC World Olympic Dreams was covered by the BBC, BBC World News, BBC World Service, BBC News Channel and BBC Radio 5Live. He is currently presenting for “Inspire: The Olympic Journey”, a monthly series celebrating the biggest names, the rising stars and the unsung heroes of Olympic sport; as well as being a regular presenter on BT Sports Panel. Matthew heads to Rio this summer as part of the BBC’s broadcasting team reporting on the Olympic Games.